So this is my contribution to the Outlaw scene. I’m not a custom guru like some of you awesome LaLDers. I’ve only done just a few like 2 or 3 lol. I took the same approach to this as the Ratsun if some of you know from back in the early days. Step one, remove the body and strip the paint with Winzer Tek Strip. Literally like 2 seconds later, the paint is 100% off the body. Step two, VERY CAREFULLY, fill up an empty water bottle with bleach and place it out in the direct Texas sunlight. A good couple hours later, remove and rinse off. Step three, find wheels! I am borrowing the wheels from this super rad NASCAR that Eddie got me. Once I find another donor, i’ll put the wheels back on this rad Dodge. Step five, draw in a German iron cross on the front all old school like, assemble and photo shoot! 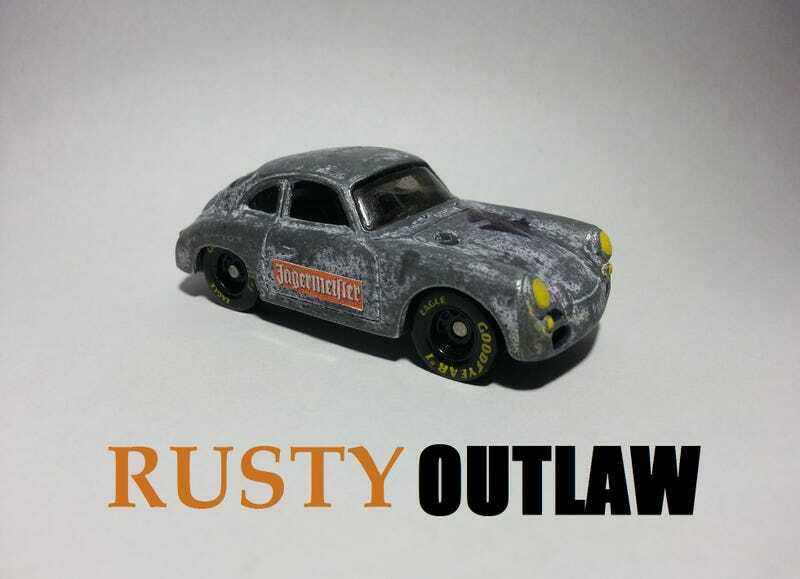 Hope ya’ll rad peeps liked it :] Until the next Rusty custom!